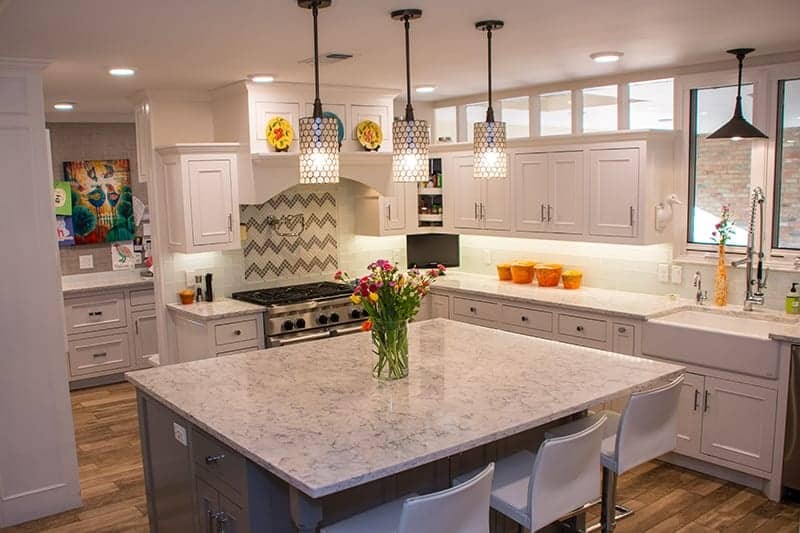 As the Permian Basin’s premier kitchen remodel contractor, we understand your kitchen remodeling project is an important investment. Trust us to turn your kitchen into your dream kitchen. your new kitchen or bathroom is not a cost but an investment that will continue to appreciate as your home appreciates. Unlike a new car, your new kitchen and bath is an asset that will appreciate while you enjoy it every day. Call JFA Construction LLC today to schedule an appointment to discuss your kitchen remodeling or bathroom remodeling project. Right now is a good time to call. Whether you’re thinking of a complete kitchen remodel, a kitchen redesign, or updating certain components of your kitchen, there are three basic kitchen functions to consider: storage, preparation and clean-up. Adding a kitchen island is one of the most common ways to add convenient work space to a kitchen. Kitchen cabinets will be designed with your needs in mind. Roll-out trays and rotating shelves are a couple of ways to better utilize your space and add more storage with beautiful new cabinetry. Choosing the right materials is a critical part of the kitchen remodeling process. Thinking of changing your kitchen countertop? Kitchen countertop choices range from very durable, yet expensive materials like marble, granite or quartz to less expensive materials such as ceramic tile and laminates. There are also a lot of choices when you select a new kitchen sink, fixtures, lighting, wall covering, and of course your new appliances.